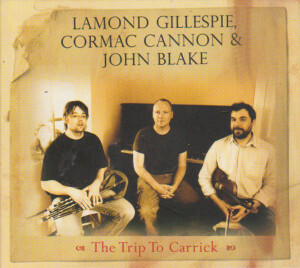 Review of the album “The Trip to Carrick”. 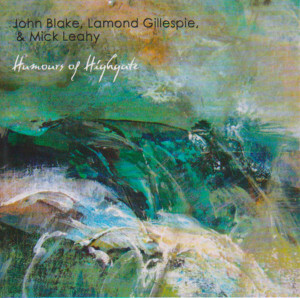 Review of the Humors of Highgate. 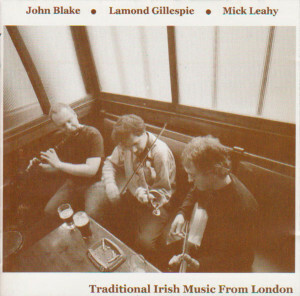 A wonderful new release featuring the talented John Blake, who is not only one of the best accompanists in Irish music today but also a skilled flute player, in duet with fiddle player Lamond Gillespie, with expert backing by Mick Leahy and Blake. The “godfather” himself, Brian Rooney, joins in on a couple of tracks, and so does box player Tommy Maree. Twelve tracks of this kind of music is just too little, I would have easily put up with twice as many. The music has a great swing, without being hurried or flashy. It demonstrates how good musicians such as these can show their individual talents and yet bring them all together to create an organic whole, a musical conversation where varied points of view are expressed freely but always reconciled.